Jordan Cushing is from Toronto, Canada, and now lives in London. During his time in Canada, he worked at the International Cinematographers Guild, first as an Assistant and later an Electronic Cameraperson. 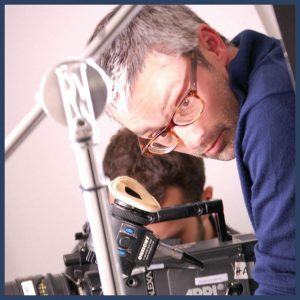 In 2007 he moved to London, and has worked consistently since as a Cinematographer on a numerous productions. These range from commercials, public service videos, music videos, and films. In films, he has shot with virtually all formats, across a host of short films and five feature films. He was approached by the Writer / Director as his first choice to be the Cinematographer for The Inuring. Jordan loved the dramatic script and worked on the look for the shoot with the Director throughout the subsequent two months. Jordan is an extremely talented Cinematographer and we are looking forward to sharing his work on The Inuring.